New Zealand – Infinite Sadness… or hope? There were times when I thought birthdays were simply a kick in the teeth. A day which celebrates your life? When you’re seriously depressed? Exactly. It doesn’t work. I would fight my family, especially my Dad. There was no way I wanted to celebrate my life or my birthday. Love him as I did, Dad couldn’t get why I didn’t want to celebrate anything, and having an eating disorder (think Anorexia) I had no desire to face any extra food. Why was all this so hard to explain? And why do all celebrations centre around food? Now that Dad has been gone for over five years, I know he just wanted to take the bad stuff away, see me happy; and now I would give anything for him to have been here today. I would even have put up with his sometimes, over-exuberance for my life. Sometimes birthdays are just as much about who is there, as who is missing. This morning I took my mother to church (we do it pretty much every Sunday). I go so that Mum can continue her life-long habit of church involvement. If I didn’t go, she wouldn’t be able to. With Alzheimer’s to contend with she doesn’t altogether understand that this is the only reason I go, but that’s okay. While I used to have a Christian faith which would fit with my mother’s church, I admit that now days I find it frustrating, bordering on annoying to even angry-making. I admit today was at the angry end of the spectrum. So my mind wandered, out the window, and I watched as firefighters were preparing for a 9/11 commemoration ceremony across the road. I watched as they tied both American and New Zealand flags to the handrail going over the bridge. I could just see the two beams from the World Trade Center towers, which are now the focus of the Fireman’s Reserve here. There have been times since that I hated that 9/11 was my birthday. It is a reminder of a very dark time in my life. 2001, I was desperately suicidal and had planned to be dead by my birthday. Instead, I was in a psychiatric hospital in Dunedin. I was close to psychotic and the staff would tell me they were running out of ideas of what to do with me. I was becoming a hopeless case. I certainly felt hope-less. Without hope. Each year when 9/11 is commemorated, I am almost forced to remember my own hell of 9/11. I actually want to think of anything but. That morning (it was actually 12 September by then in New Zealand, but that didn’t matter) the nurse woke me and told me “the world had gone mad“. I wondered what I had done. Why else would she say that? That was fifteen years ago, and much has changed. I’m glad it has changed, and actually, I’m glad I have a birthday today. Yes, I did just say that (for the benefit of family who may be reading). Today I can remember my 9/11 hell and not have it pull me down into despair. I remember my time in Dunedin but I know it is firmly in my past. When I see the American and New Zealand flags side by side on 9/11, I can remember what happened that day, and the people who died, but I can remember my American friends too. Without having gone through my own version of hell back 2001, I probably wouldn’t have some of the friends I now have. I’m glad I have them. Below is my gift today from my niece L, still my favourite little person in the world. She makes being alive worthwhile. I know you might not be able to read the message, but that’s for me anyway. The picture is of her and I. I love it. The fact that I can now love anything, anyone and especially my five-year-old niece tells me that there is hope. I would never have imagined being able to enjoy a birthday or enjoy L.
Life isn’t perfect, I wouldn’t even say it is great. Life is what it is, and often that’s really hard. But it is worth being alive. And that makes 9/11 worthwhile for me. There. I’ve said it. I was wrong when I suggested in my last post that there was no hope. I wrote that instead of hope there was only a void. I don’t mean to deny how I was feeling, but that’s the point. It was a feeling, and I was forgetting what I know. Think about it. What I know is that there is hope. At the time I wrote I was feeling that there was no hope in my life, but really, that didn’t replace what I knew. I still believe there is hope. I don’t know when, and I don’t know how, but I know it will happen. Even if I can’t rely on my own knowledge. Even if I get so down that what I forget what I know. I know that other people who love me know there is hope (see my post Borrowed Hope). This past week I met someone who I knew about 20 years ago. I only met him once but he was a friend and work colleague of my then husband. It was at an extremely difficult time in my life. I was struggling with severe depression, PTSD and Anorexia Nervosa. I was being judged by all sorts of so-called friends and extended family. But this man seemed to accept where we were at, and he supported my husband at a time that he needed all the support he could get. I know that I was far from easy to be married to at that time. This week, this man reminded me that spring follows winter, and dawn follows night. It was a simple reminder of something I knew, but had forgot. Spring starts in New Zealand this week, although it’s been a few weeks early. The weather here has been great and the spring flowers are blooming. Image credit: Anita Martinz, Wikipedia.org Colorful_spring_garden. Perhaps spring is my favourite season for this reason. I need to be reminded over and over again that spring follows winter. There is an end to the dark and cold. Even to the depression and despondency. It might not come for me this week, but I have hope that it will come. And that’s what matters. To be fair, I know that spring can also contain it’s challenges. Life will be better but it might not be all plain sailing. There might still be times of darkness. That’s the reality of mental illness. I think I’ve got to a point in my life where I can accept it, even if I don’t always like it. 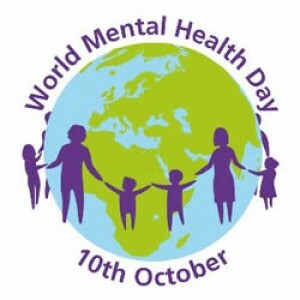 World Mental Health Day 2015 – Dignity Or Do I Have To Beg? World Mental Health Day is always an important day to me, and this year it’s been one I’ve been thinking about for some time. The topic set by the World Health Organisation (WHO) is ‘Dignity in Mental Health’. What does that mean? And how should I choose to write on that topic. In deciding, it’s important to acknowledge that ‘Dignity in Mental Health’ will mean something different depending on where you call home. I live in New Zealand and what ‘Dignity in Mental Health’ is to me will probably be different to you. What has come to mind is the times when my dignity has not been maintained in either living with my mental illness or being treated for that mental illness. Some of that has been directed to me specifically but other times it has been more of a societal issue. And that’s what I intended to write about today… until today. When I completely changed my mind because of the circumstance I have found myself in. That was one of five definitions offered but is the one I feel most comfortable with. Because it’s about me (or you). It’s about self. That which will give me “a proper sense of pride and self-respect” will give me dignity. It makes sense to me. Today I found myself in a looming sense of indignity (in terms of my mental health) because I am in a situation where I would have to expose myself more than someone without a mental illness might have to. It was making me feel sick. The more I thought about it, the more a headache came on. Maybe it might seem like no big deal but it is personal and it isn’t going to come easy. You might be aware that I am currently looking for some alternative accommodation for six months while my current abode is repaired of its earthquake damage. As is becoming a common task, this morning I went to look at a possible flat/apartment. I liked it. Actually I loved it. It would suit me down to the ground. As I left the agent gave me an application form which I would have to send through to her office. These application forms are worse than applying for a job. Landlords can be exceptionally picky in this city. There is a huge demand for rental accommodation for exactly the reason I’m looking. Earthquake repairs and people who have come to the city to work (on earthquake repairs) who need accommodation. I know that if I had a job my chances of getting this place would rise substantially. You see, the jobless simply don’t stand a chance. We are an underclass and landlords don’t need to acknowledge that underclass even exist. But mental illness makes it worse. I haven’t worked since 2010, at which point I had a part-time job for 18 months. Before that, I took nine years to complete a three-year degree. And before that I spent eight years in and out of psychiatric hospitals. I have to go back to 1993 to find when I was employed full-time and actually did something those landlords would consider of note. To get this flat (I saw today) I have to provide something of an employment history and then I have to provide personal references, separate from employment references. Are they kidding? As I said, I had to give up work years ago and I gave up on having friendships some years ago. They hurt too much. With Borderline Personality Disorder (BPD) it’s too hard and too painful. I couldn’t do it. I have no one who I could seek a personal reference from. I have no references. There are other people for whom this process will be limiting if not failing. I know that I’m not alone. But for someone with a mental illness, landlords in my city are literally refusing to admit we exist. They simply don’t HAVE to admit I exist because they have plenty of nice, qualified, rich, employed Jane’s or John’s. And those nice, qualified, rich, employed Jane’s or John’s have good personal references too. My only option is to get down and beg. IF I can possibly find a landlord or agent who will give me even just five minutes to beg they might actually discover… I might not have a job, or steady work record and I might not have upstanding people who know me BUT my mental illness, does not preclude me from being a good, responsible tenant who takes care of their property and pays their rent on time. Hey, they might even find they like me. If they give me a chance. I am a good person. I will be a good tenant, and actually regardless of my lack of a job my insurance company back me. But because I have a mental illness I simply don’t exist. Dignity in Mental Health can be viewed from a perspective of how we are treated by mental health professionals. But it is just important to ask with what dignity are people with mental illnesses treated by society. Do we even exist in the eyes of other facets of society? Do we have to get down on our knees and beg for a place to live, or a benefit or a job? Maybe you’re a Christchurch landlord and think you have every right to deny my existence. You do have that right but how would you want to be treated if tomorrow you were diagnosed with a mental illness, and your world came crashing down around you? Wouldn’t you want your dignity intact? I have exactly four weeks to find somewhere to live. And sadly it is having an enormous impact on my mental health. Keep reading and I’ll be shouting from the rooftops of WordPress when I find somewhere to live. Today, in Australia and New Zealand, we commemorate Anzac Day. It is a national day of remembrance in both countries that broadly commemorates all Australians and New Zealanders (including animals) “who served and died in all wars, conflicts, and peacekeeping operations”. It particularly honours those Army soldiers who served at Galliopli in 1915. There are many commemoration services held around both countries and at Galliopli, but I have to admit that it’s been a while since I have been to one. I simply don’t ‘do‘ crowds. That doesn’t stop me from remembering though. While I am an advocate of peace, I have great admiration and respect for those who have served in the past, and those who still serve. I just hope and pray that one day such service will no longer be necessary and we will find a way of living in this world in harmony. My chief memory relating to Anzac Day lies with my paternal Grandfather. Let me tell you about his war service. Don’t worry. It won’t take long. My grandfather joined the Royal New Zealand Navy (RNZN) Intelligence Division as a Lieutenant to fight in World War Two. He was stationed at home in New Zealand but was required to go overseas regularly. He was injured in an accident (in New Zealand) and those injuries left him unwell for the rest of his life. That’s it. We don’t know anything else. In the approximately five years my grandfather served, and in the years after, he was never allowed to tell anyone of what he did, and where he went. Granddad died about 25 years later and took his secrets with him. It strikes me this year as I remember him, and others who served, that the trauma they witnessed must have been immense. Now days we are becoming more aware of the affects of the trauma soldiers face. We recognise the existence of Post Traumatic Stress Disorder (PTSD) and the havoc that can play on their lives in the years following their service. I know we still have a distance to go in understanding the need for help and treatment but awareness in itself has to be good. But today, I am struck by the lack of this knowledge and understanding back in the time my grandfather served, and before in previous wars. I suspect war was very different then, to what it is today, but no less traumatic. Not just for those who served either. My father was a child at the time his father was away at war. Neither he, not my grandmother were allowed to know anything. Not then, not ever. The hardship and fear they must have carried with them must have been huge. Remember too, this was a time of no emails, no Skype, simply no communication but the odd letter. My grandfather, and many others with him, lived both then and into the future with no assistance in dealing with what they had seen, done and heard. The affect on their lives must be beyond our modern comprehension. Granddad died, from his war injuries when I was three. I have just one memory of him playing in this front garden with me. “What’s all this talk about an earthquake?” says Mum. That was my 86-year-old mother’s question for me when I arrived at her home a few days ago. I was astounded that she didn’t know. It was pretty much ‘the’ topic here in the past week. Today is the 3rd anniversary of the deadly earthquake that struck my city of Christchurch at 12.51pm on 22 February 2011. Naturally the anniversary has been in the news this week, but Mum couldn’t remember an earthquake being at this time of year. Actually, I was really thankful. This woman had lost so much in that earthquake. More than most. She deserved to have it lifted from her memory for a bit. I was glad, for once, that she had no idea what I was talking about. As we then talked, her memories came back, but we had over 12,000 earthquakes over a period of about 18 months so it wasn’t surprising that she couldn’t remember one of them. Then she was confused as to which quake she had fallen over in. I assured her that in that quake, thankfully, she had already been sitting down when it struck and she managed to remain in her chair as her home fell to pieces around her. My father though, was thrown to the floor. So was I. As part of a range of commemoration events in the city, there is one that I find draws me each year. The River of Flowers is an opportunity for the public to share their experiences and hopes for the future by throwing a flower into one of the two rivers that flows through the city, and by writing a message of hope and tying it to a tree as various points. Throwing my flower into the river which has always been important in my life, is for me, letting go for a few moments of the sadness, trauma, loss, and worries about the future. It feels healthy to me, and I like that. Natural disasters, like our quakes, happen across the world all the time. Something that had never occurred to me until I lived through this, was that the aftermath goes on for years to come after a disaster. When the media and their cameras have all gone away, and the rest of the world isn’t hearing anymore, the sad reality is that people go on suffering. Three years on and my life is still unsettled (to say the least). I now have a chronic illness (fibromyalgia) which is attributed to the trauma of the quakes. I live in a severely damaged house and still have no idea how that will be fixed. My house is pretty cold in winter because of the damage, but aside from that, I’m simply used to the damage. That said, don’t suppose for a minute that I like living in a house that is now tilted on a bit of an angle. Or the curtains blowing in the breeze even though no windows are open. But it’s just life here in Christchurch and I know there are people here worse off than me. I know full well that mental health is a major issue in my city. Children are still badly traumatised, as well as many adults. Free counselling sessions just don’t go far enough. Three sessions per person is not enough. The use of anti-depressants has risen significantly. The psychiatric hospital is overflowing and they’re talking of putting inpatients into caravans out on the lawn. Suicide statistics tend to run behind by a few years, but I understand the numbers are sadly picking up in my city. Let’s not forget too, that there is a major housing shortage here now as well as significant poverty. These both contribute to the state of mental well being. A year before our deadly earthquake, Haiti (Port-au-Prince) suffered a quake too. 220,000 people are estimated to have died on 12 January 2010. In Christchurch, there were officially 185 people died. At the height of the Haiti quake, one and a half million people were displaced and sheltering in tent villages. That’s just huge. And it makes me say “what have I got to complain about?”. While I wonder about the ongoing mental health of those who lived through the quakes here in Christchurch, I wonder even more what is being done for the people of Haiti. Do they get access to free counselling like we have? Are the children getting the resources that are being pumped into Christchurch. It is so difficult to know what is being done for victims of natural disasters when the lights go off on the media bandwagons. That said, I have a fair idea of the answers to my questions. Whether it is an earthquake (or 12,000), a volcanic eruption, a hurricane, a bush fire or any other devastating event somehow we need to remember that life afterward is changed and will probably never be the same again. Not just the physical welfare of victims matters, not just the infrastructure and buildings that have to be rebuilt, the mental health of victims will continue to be a major issue for years to come. Somehow I think we forget, once the media have gone, and even more so we forget when the media never really got there. It seems to me that third world countries recovering from disaster, do it very much on their own. While today, I remember a day I never want to experience ever again, I want to remember people in other countries doing similar recoveries. I have been fortunate to have access to welfare, Red Cross funding and the like. I never ended up in a tent city. I have insurance cover to rebuild my home (when they finally get to it). But for so many people there is none of this, and those people are the ones I have on my mind today. It’s pretty clear to me that readers of my blog from United States outnumber all other countries by leaps and bounds, and because of that it’s important for me to say that I know what I am about to say might not fit too comfortably with those readers. I know my country of New Zealand and yours, are quite different. It is over twenty years now since I visited your country and I know how different what I saw then was from where I live. Even though we might look the same, or similar, I think it is fair to say that our culture and society is quite different. This post, which is basically about the use of guns, is not my attempt to sway your opinions on gun laws but rather I want to acknowledge that your environment is different to mine but clearly both have some issues to address in terms of guns. In the past few days, New Zealand has been rocked by the news of the murder of two children, aged six and nine, (by their father) followed by the suicide of their father in Dunedin, one of New Zealand’s four largest cities. It was not a mass shooting. It is 24 years since we had a mass shooting in New Zealand (Aramoana, 1990). The father shot dead the children in their beds, before turning on gun on himself. Those children come from a school now in mourning, and while I hate to say it, I suspect this type of incident happens every day in your country. In my country though, it is not common, thank God. The mother of the children, the man’s ex-wife, had run next door to get help. It’s hard to begin to imagine the hell she must be going through now. The man apparently had a mental illness and was on medication for it. To his family’s knowledge he did not have a firearms licence, necessary in New Zealand to own a gun. It’s hard to imagine how he would have held a licence with a string of breach of protection orders in the past year. Questions that are all being asked now. Personally I am very glad that it is not easy to obtain a gun in my country. I won’t pretend to be anything other than anti-guns, although as I said already I recognise that my society and yours are quite different. But I will always stand up for more control on gun ownership. I have no desire to live in a world where owning a gun is necessary, or even desirable. I was 15 years old when my ex-boyfriend J loaded a rifle, gave it to me and told me to kill him. He didn’t want to live if I wouldn’t be his girlfriend. He owned a gun (he was 18 at the time) for hunting but I strongly believed both then and now that he should not have access to one. Why? He was too impulsive. I knew he could shoot himself, or me for that matter, without too much thought. The thought would come later, when it was too late. And that is the problem I have with guns. Act now, think and get the facts later. I can still remember thinking how easily it would be to pull the trigger. By then J had been creating a lot of problem for me by stalking. Fear thankfully got the better of me, aside from the fact that I’m not the sort of person who could fire a bullet at anything, anyone. Harming anything is difficult for me. I just wouldn’t do it. Instead I dropped the gun and fled, running about three miles home. He followed me on his motorbike. Who knows where the gun was by then. I didn’t stop to ask. In spite of the fact that I would have arrived home hot, sweaty and out of breath I didn’t tell anyone what had happened. My family was all home, it was Saturday night, and no one knew a thing. It was many years before I ever let that burden go by telling my family (when I wrote my book). The trauma of that night was something I carried with me from then on. I didn’t tell anyone because I thought it must be my fault. What’s more I had been told I must show Christian compassion to J, and frankly that seemed so unfair. It still seems unfair and totally wrong to me. I hate the thought of people being guilted into this Christian compassion. That night was over 30 years ago now and, in spite of a lot of therapy, I still carry it with me when I see things like the Dunedin shooting reported. It’s too easy to pull a trigger. From what that man had with him, he had apparently gone there to burn the house down. Who knows whether the shootings were part of the deal. Maybe it was simply too easy. I don’t know, and I guess no one will ever know. I don’t want to get into a gun lobby debate but when this story hit me I needed to say that while I hate that those children have died, and I hate that their mother is now alone, I am very glad that guns are not common in New Zealand. Tragedies like this happen but not often. Thankfully. Frankly I wish it was harder still to get our hands on guns here. I simply don’t believe there is a need, although I accept that maybe your country is different. Today in New Zealand, is Guy Fawkes Night. It’s a tradition that is celebrated in a number of countries and has its origins back in 1605 when a man by the name of Guy Fawkes, attempted to blow up the British Parliament. Apart from the fact that New Zealand is part of the British Commonwealth, I really don’t see why we still ‘celebrate’ it. Afterall it’s nothing to do with my country is hardly an honourable event. Celebrations come complete with bonfires and fireworks, and what kiwi child can’t remember their father tying Catherine Wheels to the clothesline, and setting off Skyrockets out of the old glass Fanta bottles? The fireworks were always pretty but the fear of the noise and fire was overwhelming for me, and I was usually glad it was over. The bullies after school would set off Double Happy and Tom Thumb firecrackers, throwing them at anyone in the wrong place at the wrong time. Again, not something I enjoyed. Thankfully firecrackers are no longer legal. Nowadays there is a move to official, public firework displays down at our local New Brighton Beach. I’m quite okay with those, although I don’t ‘do’ crowds so tend to stay away. Crowds in the dark, with loud explosions, is not my idea of fun, even if it’s professionals out on the sea lighting the fuse. But still many people choose to let off their own fireworks in their backyards, and last night it seemed that my whole suburb was doing this (perhaps leaving them free to go to the official display tonight). Yesterday wasn’t one of my better days. Actually on the fibromyalgia front, it was a pretty good day (finally) but there were a few emotional triggers, a few ghosts from the past, that set off several (private thankfully) meltdowns of tears. It was one of those days I didn’t want to be awake anymore so headed to bed early. Unfortunately at the same time my suburb was letting off fireworks. See? I can admit it. I’m scared of the dark. Actually I wasn’t as a child, but as life has gone on and trauma has come my way I have come to dread the dark. I simply don’t like not being able to see what is around me. I need to be able to see if there are any threats to my safety or sanity. Some nights are better than others but last night was one of those where I was sleeping with the light on. What’s more I couldn’t bring myself to close my eyes. I desperately needed to see. That doesn’t help in the getting to sleep process. As I lay there, trying to go to sleep, fireworks were exploding nearby sending both light (through the curtains) and noise into the room. I was anything but relaxed. I knew it was probably a window of about half an hour (as it went dark outside) that the fireworks would continue. I grit my teeth (don’t tell my dentist) and sat it out. For me, these words are quite accurate. I wasn’t scared of the dark as a child and generally wasn’t an anxious child. I’m 48 years old now and I struggle to sleep in the dark. Even my darling L (who, by the way, turns three next week) sleeps in the dark, with an occasional visit from mum. But not me. I go through stages of needing a light on somewhere, but right now it’s not a good stage. I have learned what the dark contains, and what is hidden in the shadows. I have learnt that there are people and things that can hurt me. I have only just got over the whole ‘earthquakes in the dark‘ thing that has been hitting my city for three years now. Imagine a 7.1 quake in the dark if you can, and you soon learn of what you are scared. More recently though I have discovered there were people standing right beside me, that were a threat to me… but I had no idea for far too long. They were there to abuse me, and lie to me, determined to ‘play’ with me and perhaps even destroy me… and I had no idea. Let me be clear. I knew they were there, but I had no idea they were such a terrible threat to me. That’s why I’m scared of the dark. I need to know what, and who is there. I can’t close my eyes because I might miss their approach. Now that I know of their existence and threat, I can do (and have done) what I can to protect myself. But trauma has visited me again, and I remain fearful of anything else that might seek to harm me. I have some work to do, but meanwhile the light stays on. Today I am participating, for the second time, in Blog4Peace… because peace is something that I strongly believe is desperately needed in our world. Bloggers from over 200 countries are participating today, and that just says to me how important our quest for peace is. Sometimes I’m not too good at sticking to ‘the rules’, especially with blogging challenges and the like. Hopefully Mimi will forgive my errant ways. Usually bloggers create a template of their statement of peace, and post it on their site on 4 November. I have borrowed a template (above) for this post, but came to the conclusion that firstly, I’m a better writer than an artist, and secondly, I had something to say that I couldn’t contain in a template. As well as that my brain isn’t quite functioning straight right now and to achieve both tasks is simply beyond me. I was watching a movie the other day. A favourite from years ago, of which I have just managed to get my hands on a copy. It is The Mission (1986) starring Jeremy Irons and Robert de Niro. The brief summary of what this is about is that some Jesuit priests are living and working with locals above the Iguazu Falls in the South American jungle in the 1750s. There is some outstanding music in this movie, probably one of the reasons I love it, but there are difficult moments too when Portuguese rulers take back the land, destroy the mission built with the Jesuits ,and try to enslave the locals. The priest, played by Jeremy Irons, believes that God is love, and violence is a direct crime against that love. He argues that they should trust God rather than fight back. He chooses to stay with the villagers in peace while other Jesuits decide to renounce their vows and fight with many of the male villagers. It’s hard to fit a movie into a paragraph, but the reason I raise it is the two choices that are made, effectively between peace and war. I sat watching the movie, and there were villagers, priests and soldiers representing the Portuguese rulers dying everywhere. Most of it was played out beside the river and I was struck how easily dead bodies were cast aside, out-of-the-way, so that the fight could continue. It seemed to me those bodies meant nothing, and I was struck with a knowing that I could never kill another being (human or animal), in such a situation because I simply couldn’t allow myself to let them mean so little. It was difficult enough to stand and watch my cat being euthanised last year. I knew it was taking away her pain, but it was so difficult to let a life be taken. That said, that’s an easy statement for me to make. I’m not back there in the 1750s with the threat of my village being destroyed, and I’m not even in a position where I have to consider that I might be sent to war here in the 21st century. I live in a country (New Zealand) where military involvement is not mandatory. It was for young men (including my grandfather) in the first and second world wars, but as a woman, that was never something I would have had to face doing. Yes, it’s easy for me to say. My choice not to bear arms would not have any affect on my family and/or loved ones. Saying no is definitely an option for me. But I get that for so many, it’s not that easy. Peace is one of those things that I think we all have our own views of what it is about. For me it is about respecting the value of each human being to a point where that person deserves to be saved. This post isn’t directly about war, although obviously it is not ignored because without peace we often have war. My personal belief is that war is never necessary. There is always another way of solving a dispute, and every effort should be taken to preserve life. Maybe it’s more difficult, maybe it takes longer. Jeremy Irons, in his role, chose to take what he viewed as God’s way. That’s not why I like it but rather what I do I like is the respect a peaceful solution offers to each individual. We are all worth saving. None of us deserve to be left dead or injured on the side of the road, or permanently traumatised by the horror that soldiers, and the indigenous and local people have witnessed in the name of war. My belief is that peace values each of us. It says we are all too important to be cast aside as I saw in the movie. 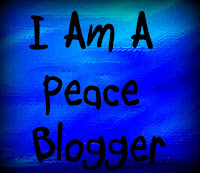 That’s why I have taken time out from my usual blogging to take part in today’s Blog4Peace. All of the bloggers taking part in this event believe that if words are powerful….this matters. The wider we spread this message, each in our own way, the more people will see that the right thing to do is to lay down arms and live at peace. What does all this have to do with blogging for mental health? If we had peace world over then we could all let it be. I am convinced that our overall mental health would be significantly better. Music drew me to that movie, just as I believe that music draws us in peace toward togetherness. That’s why I’m finishing this post with music from Playing For Change Songs Around The World.